Buddhism in Nepal dates from the birth of Siddharta Gautama himself. Legend has it that many bodhisattvas and previous Buddhas also visited the land. Monuments to these Buddhas can still be seen. Early Buddhist history is difficult to document, but we know that Nepal became a great meeting point for Indian and Tibetan Buddhist teachers. Nagarjuna, the great Madhyamika master, and many other great practitioners visited, lived, and taught in Nepal. Stone inscriptions and colophons provide clear evidence that a strong lineage of Mahasanghika Bhiksunis existed in the seventh century. The country became a repository of Buddhist Sanskrit literature and famous for its production of fine Buddhist art. Buddhist influences are evident in the culture of Nepal, including that of many Hindu and Animist castes. Due to Nepal's close proximity to Tibet, Tibetan Buddhism is the most widely practised form. the Newar practice Vajrayana Buddhism. Many Buddhist groups are also influenced by Hinduism. Many famous temples have been erected throughout Nepal. Although many ancient temples were destroyed by earthquakes in 1355 and 1934, many important religious structures still survive. The ancient stupas of Swayambhu and Bodhnath are regarded as most sacred. Buddhism in Nepal includes Theravada, Mahayana and Vajrayana traditions. The rulers of Nepal have primarily been Hindu, but have supported the development of Buddhism over the centuries. The Tibetan Mahayana tradition is the most popular in northern Nepal, with approximately 3,000 monasteries. The region is inhabited by Tibetan-related peoples, namely the Sherpa, Lopa, Manangi, Thakali, Lhomi, Dolpa and Nyimba. They constitute a small minority of the country's population. Newar Vajrayana Buddhism is a widespread religious system in the Kathmandu Valley with an elaborate tradition of ritual. Since the early 40s some Nepalese have turned to Theravada practice based on the Pali canon, stressing the rational aspects of Buddhism over ritual. Most Theravada monasteries are located in the Kathmandu Valley. There are approximately 100 monks and 150 nuns, mostly belonging to the Newar community. Newars with the Shakya surname trace their lineage to the family of Shakyamuni Buddha. Ethnic groups that live in central Nepal, such as Gurung, Lepcha, Tamang, Magar, Newar, Yakkha, Thami and Chepang, are also followers of Buddhism. These ethnic groups have larger populations compared to their northern neighbours. They came under the influence of Hinduism due to their close contacts with the Hindu castes. In turn, many of them eventually adopted Hinduism and have been largely integrated into the caste system. The Kirant tribes, especially the Limbu and the Rai, have also adopted Tibetan Buddhist practises from their Buddhist neighbours. The Jirel, which is considered a Kirata tribe, have also adopted Tibetan Buddhism. Svayambhunath Stupa - Kathmandu The Great Stupa of Svayambhunath stands on a hill to the west of Kathmandu. Its name means "The self created, Self-existent Buddha." The myth of its origin is also the myth of the valley's origin. It tells the story of the primordial Buddha's enlightenment and the spread of Buddhism in Nepal. This most sacred site has always been the most important power place for local Buddhists and for pilgrims from all over the world. It is considered to be the most powerful shrine in the Himalayas. Indian Buddhism began to penetrate the mountain passes into Nepal in perhaps the 4th or 5th century AD, although its influence has always been mainly confined to the Kathmandu Valley and the western part of the country. With the destruction of Buddhism in India in the 13th century, Tibet, Nepal's powerful neighbour to the north, began to influence the country's religious development. However, the Tantric Buddhism that resulted became increasingly corrupt and fused with Hinduism, the predominant religion, and the two became and remain even today almost indistinguishable. In the 1930s the first Nepalese ordained as Theravada monks in India, but Nepal's Hindu ruler's refused to allow them to return to the country and imprisoned those who did. 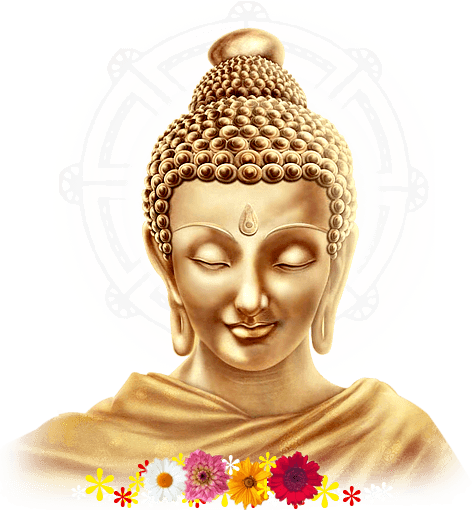 With the change of government in 1950 and the coming of religious freedom, Theravada Buddhism has begun to steadily gain support. Since 1959 Tibetan refugees have also established themselves in the country and their presence has helped to some extent to revive traditional Nepalese Buddhism. Until recently, nuns in Nepal took ten precepts and did not have access to full ordination. In 1988 a group of nuns went to Los Angeles, California to receive full ordination as bhikkhunis. In 1998 other Nepali nuns received bhikkhuni ordination in China and Bodhgaya, India. In 1999 in Lumbini, Bhikkhuni Dhammavati organised the first siksmana ordination to be held in Nepal in 1000 years.